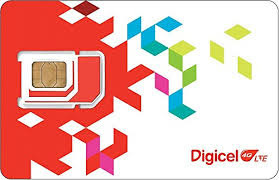 DIGICEL has warned customers to register their subscriber identity module (SIM) cards to avoid deactivation after December 31. Digicel freelancer Leonie Ture visited the Pacific Star Limited office in Waigani yesterday to register SIM-cards for employees. She said the registration process was in compliance with the National Information Communication Technology Authority Act. According to the SIM Card Registration Regulation 2016, it is compulsory to register all active SIM cards before Jan 1, 2018. Ture said Digicel was carrying out SIM-card registrations in Port Moresby and would cover the four regions eventually. “It is important to register your SIM cards because it can help you get a replacement when your phone is lost,” Ture said. Ture said subscribers could get their SIM cards registered at Vision City and other Digicel outlets. They should produce identification cards.